Originates from Southern Europe to Asia. Clumps of hardy corms with striking bold pleated green leaves. 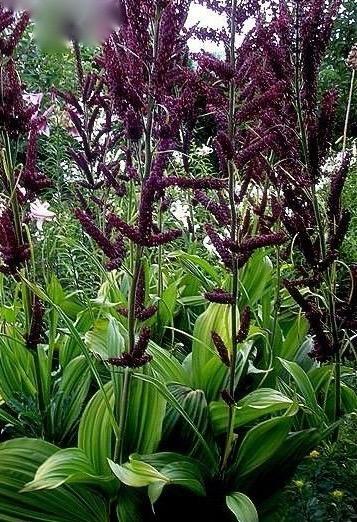 strong spikes with deep purple starry flowers August onwards. Needs a shady spot with humus moist soil. 1.8m tall.